Experience a Classic Scotland private malt whisky tour, accompanied by a registered guide and whisky expert. Choose from over 120 distilleries to enjoy the subtle flavours of fine malts direct from the cask. Classic Scotland’s Whisky tour programme includes 3 standard sample tours ranging from 4 to 11 days indulging you in the distilleries you want to visit. Enjoy every stage of production from malting to bottling, with ample time for leisurely tastings. Customised private itineraries, transported in style at your own pace. Any group size from 2 - 20. Indulge yourself in private whisky tasting, whisky dinners and visits to attractions of your choice. 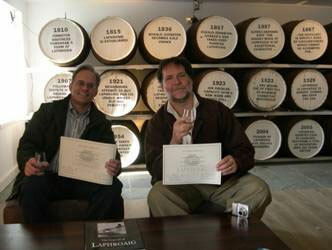 All Classic Scotland tours are personally designed so you will visit the distilleries that interest you. If you would like some time to go sightseeing, hiking, to play golf or go fishing; our expert planners will be able to make the best use of your time.